Highway 14 east from Vancouver, Washington, a few miles west of the junction with Highway 97. There is good fall color in this vineyard in early autumn, as well as views of Mount Hood across the Columbia River in Oregon. 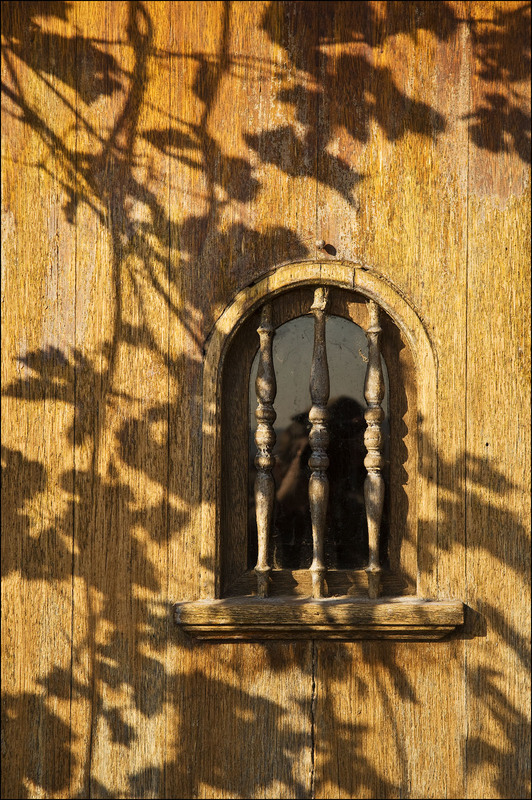 Shadows of vineyard grapevines on the door of the tasting room at Cascade Cliff winery near Wishram, Washington, USA. Wonderful abstract. You really picked up the grain and texture of the old wood, and the the grape vine and leaves represented only by their shadows… brilliant!